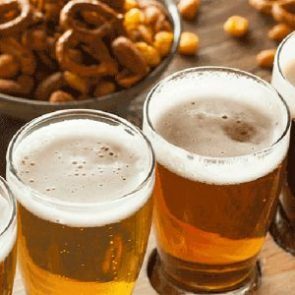 Discover the unique flavor of exceptional craft beers from some of America’s finest micro-breweries this holiday season. Exceptional quality, unique taste, and a variety of flavors each and every month- that’s what your beer lover will receive when you order this Craft Beer Gift of the Month Club this holiday season. Fascinating micro breweries throughout the country are selected to add their own, one of a kind touch to the Craft Beer Club. Each independent brewer uses only traditional brewing ingredients and brewing methods that are time-honored in the world of beer. When you order the Craft Beer Club, your recipient will receive 12 bottles or cans of world-class, hand crafted beer delivered straight to his door month after month. Each shipment includes 4 unique styles (3 beers each) to enjoy or share with friends. As an added bonus, your loved one will receive a monthly newsletter that is packed full of information about the particular selections received.